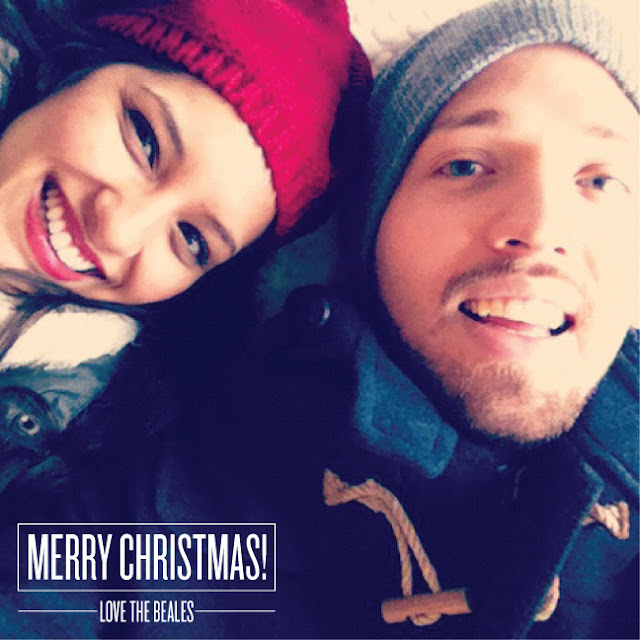 From my little family to yours... Happy Holidays and the warmest of wishes! 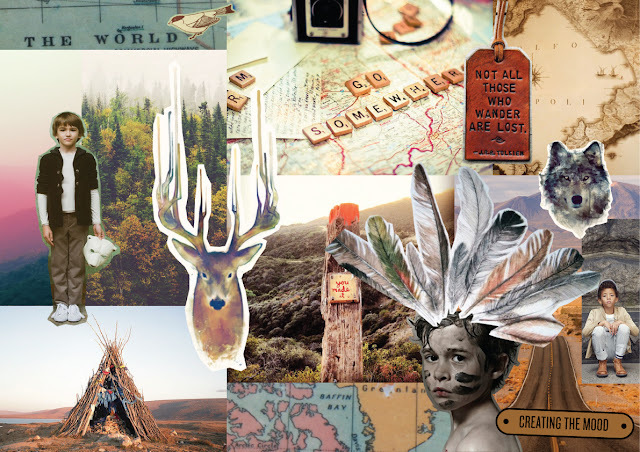 A little eye candy and loads of inspiration to start the weekend off right... Happy Weekend! 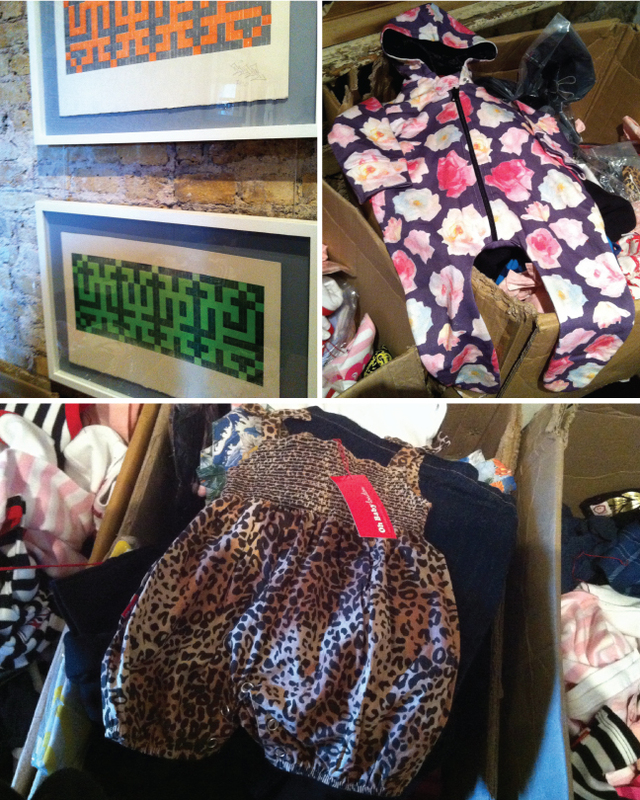 Oh Baby London held a sample sale this past Saturday in one of the quaintest little coffee shops on Brick Lane called The Suzzle, and what a treat it was! If you are familiar with the brand and/or the area, you would agree with me that their couldn't have been a more appropriate location for the sale. 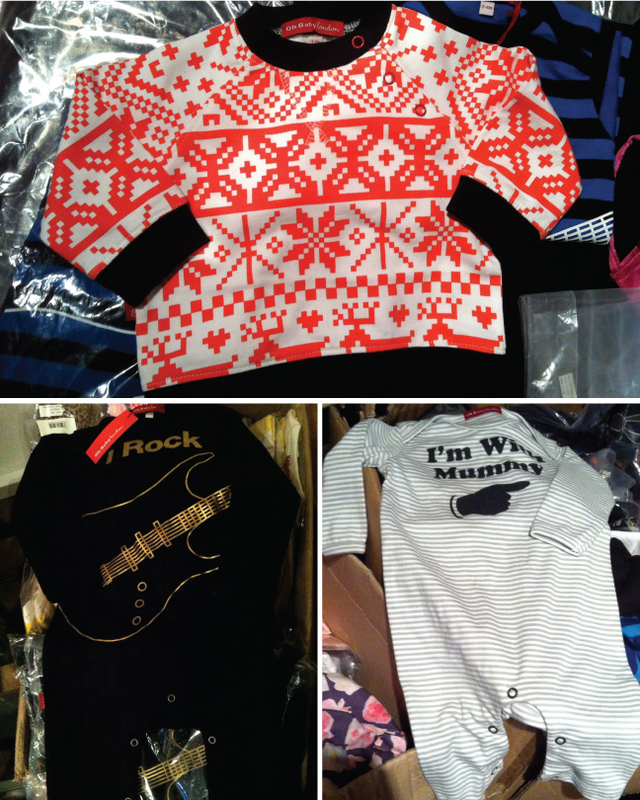 Nestled in the back room, amongst some of my favorite graffiti artist's pieces were cheetah printed rompers, digitalized fair isle tops, and foil printed graphic onesies. I love how all the artwork from the clothing and the pieces hanging on the walls complemented each other, it was really visual heaven! 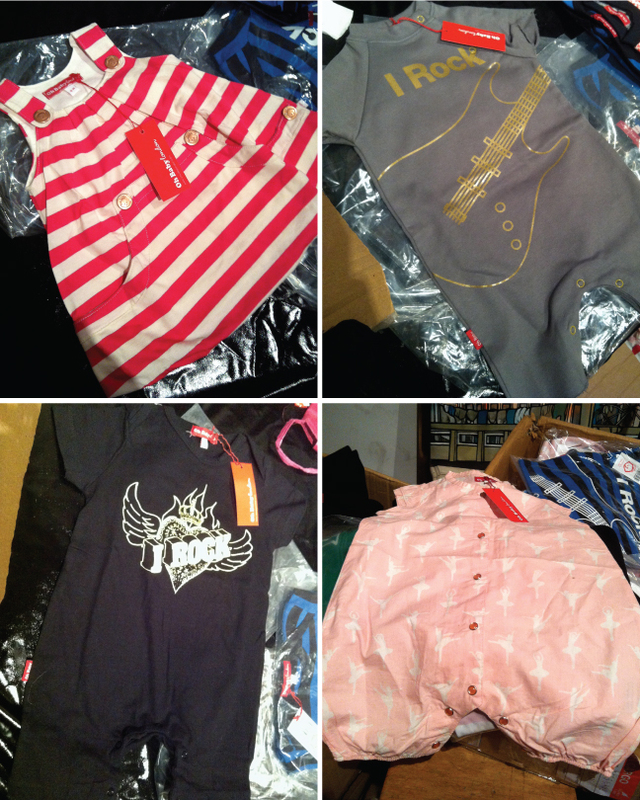 I scored a few more gifts for x-mas... and with such cool designs and great prices, I would have made up reasons to buy, honestly... there is always another birthday just around the corner! So I have a confession to make... two things that I have not so secretly been obsessed with lately are anything denim and anything aztec print... which my pick this week combines beautifully! Creating a twist on the classic denim jacket by not only being in faded black, but also having french terry sleeves. I love the mixing of contrasting fabrics, one is durable and sturdy while the other one is soft and cozy. 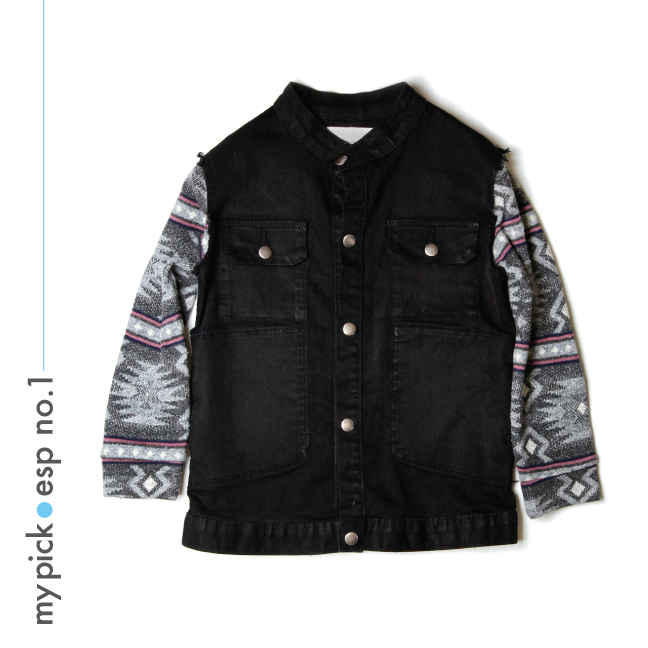 This is sure to be any little one's favorite layering piece in the chillier months! 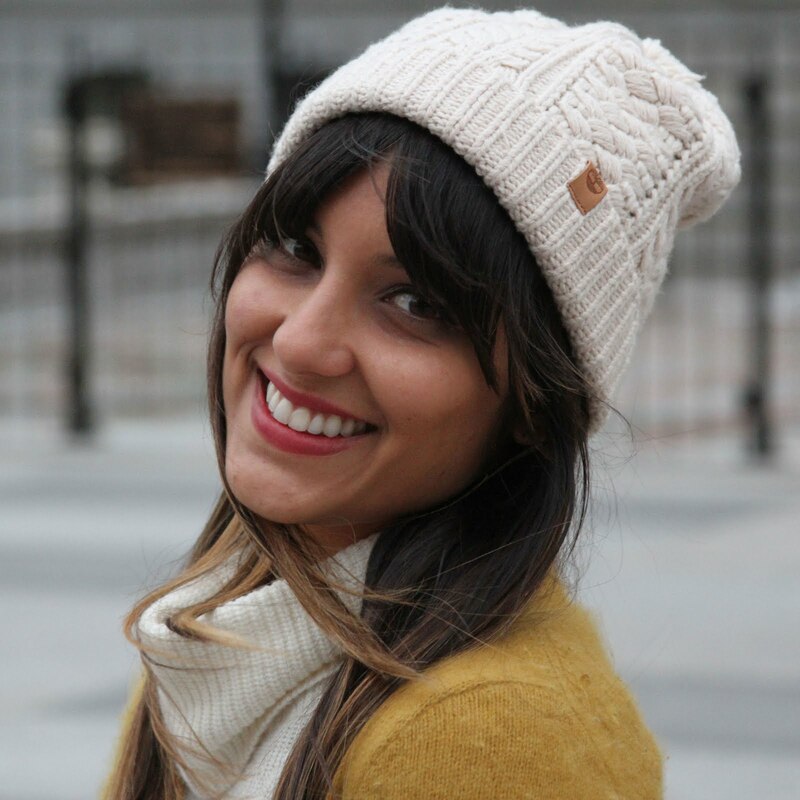 A favorite fellow kid's blogger and her brilliant holiday gift guide... such a star! Excited to try this amazing sounding recipe... chocolate chip peanut butter oatmeal cookies! 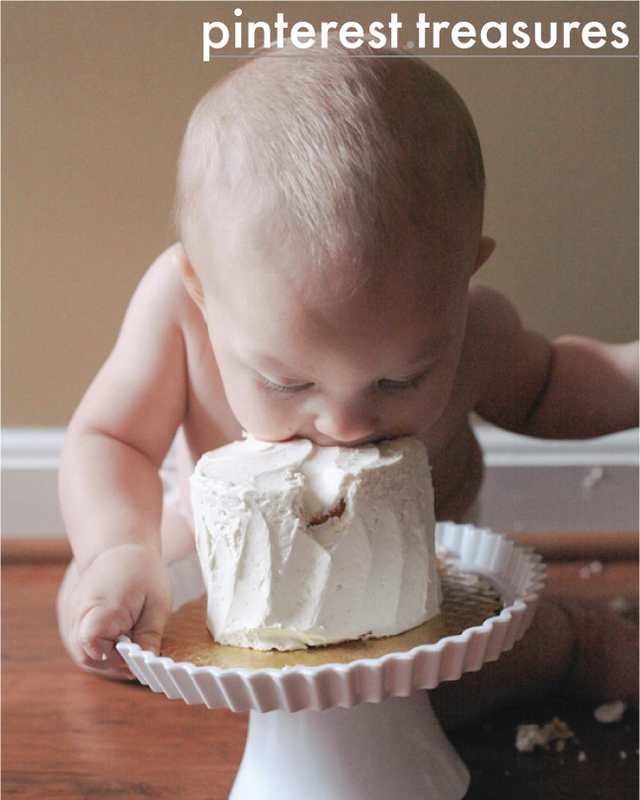 So inspired by this diy drums idea... what little one wouldn't want one? Another fantastic diy gift idea... this time in the form of a stick horse your little one can ride! Guess what guys? 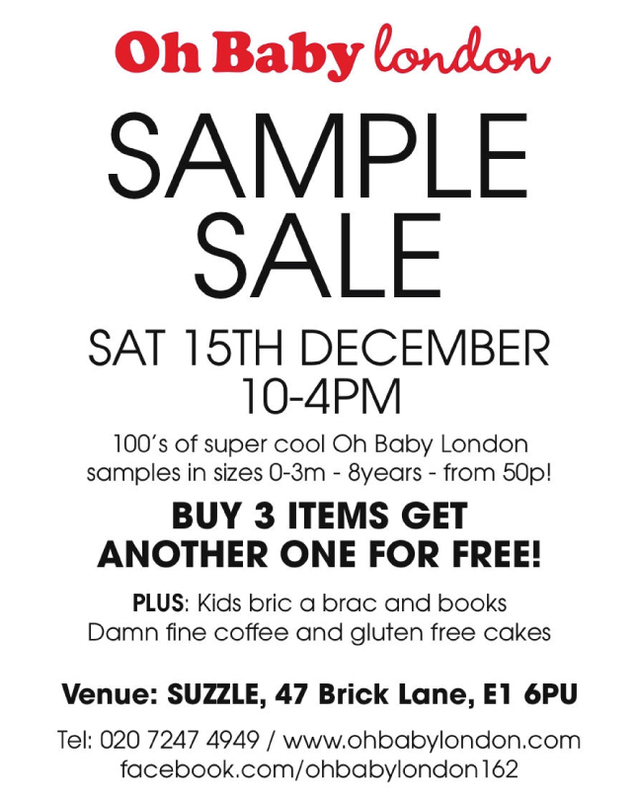 Oh Baby London is having a sample sale tomorrow and just in time for some x-mas shopping! 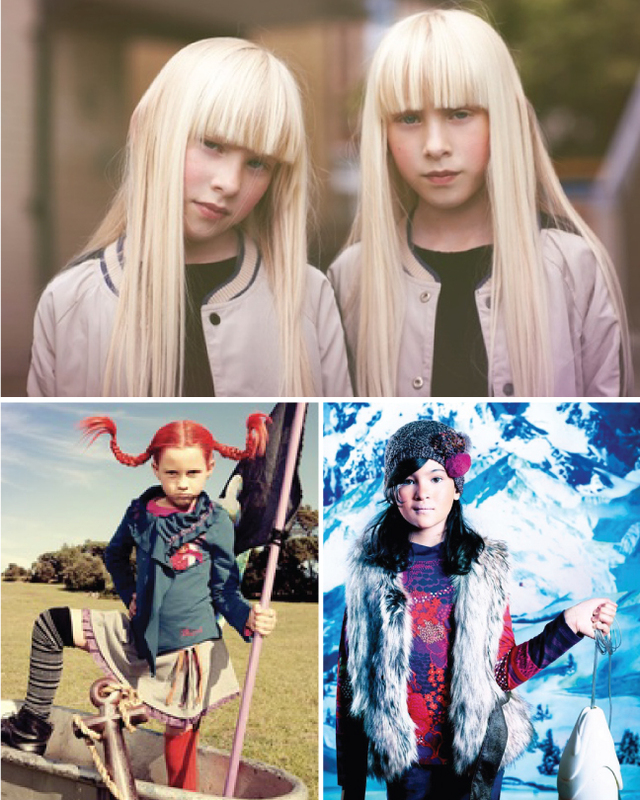 Cross some more little ones off your list this year with some of the coolest fashion out there for kids. With only 11 days till the big day (really 10 because technically you should be done shopping by the 25th! 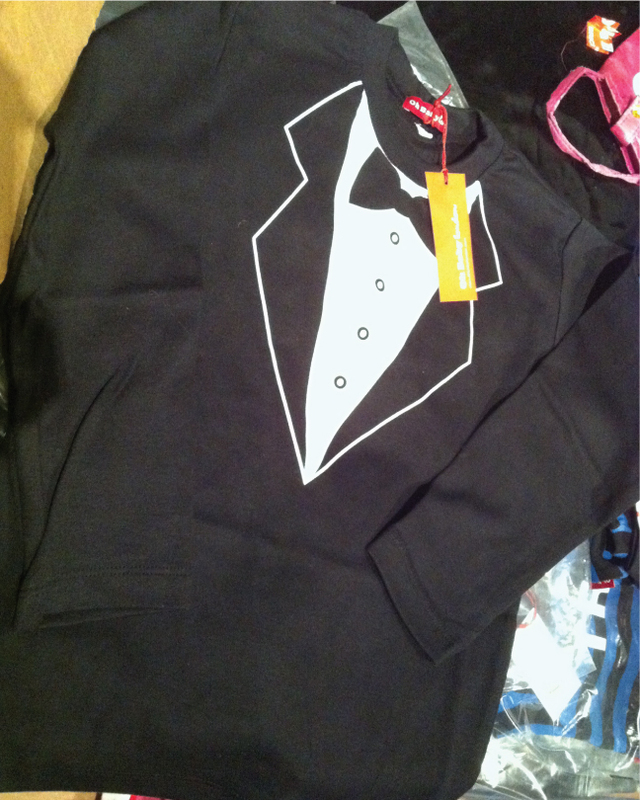 ), don't pass up this amazing chance in you're local. I'll be passing by so say hello if you see me. Don't forget you can also follow me along on twitter and instagram (@madewithlovejb) for snaps and snippets of the goods... and of course a recap post to follow. Ta-ta! If you've noticed that I have been missing over the past few weeks, I have the reason for you right here. 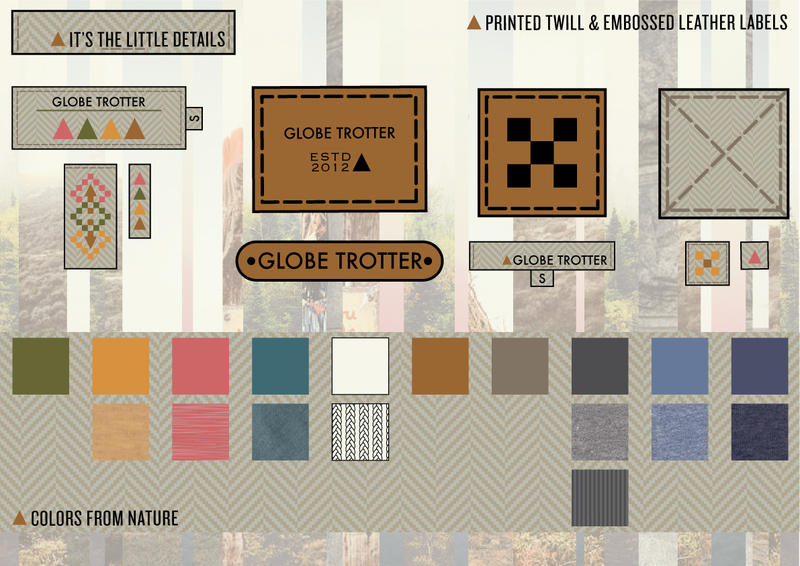 I have busily been designing this big boys range for A/W 13 which I named Globe Trotter. This is my first attempt at older boys and I have to admit, I was a little nervous that everything might turn out too baby-ish looking. 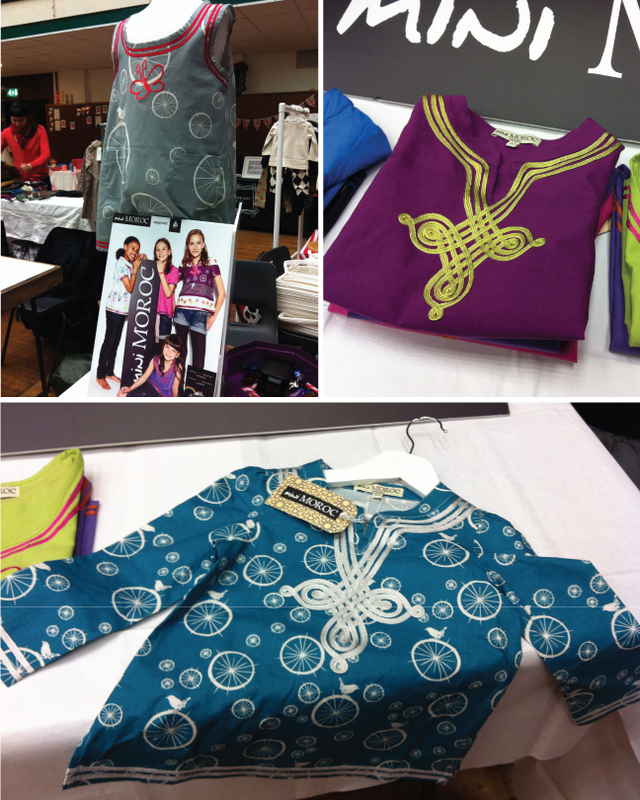 I actually had a lot of fun researching and designing this range which came as a total surprise to me! I originally started my career as a girls designer and being very girly myself, I never could have imagined just how excited this whole process would get me... but it did! Globe Trotter spans the 9 -14 year age range in boys and so I had to make sure that each piece could be deemed cool enough, while still maintaining a playful youthfulness to it. 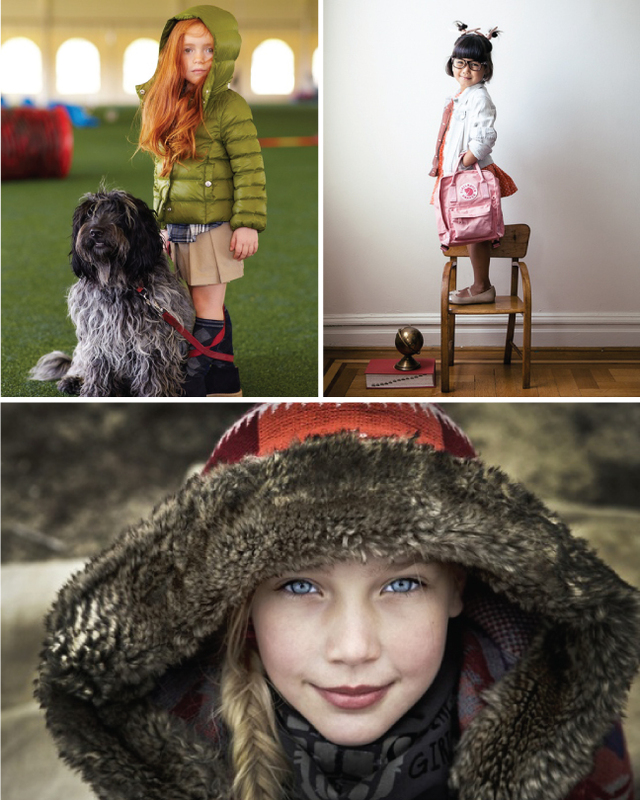 This collection is about a young wanderer, eager to discover the world through curious eyes. Influences from nature are found throughout the collection in graphics, prints, color, and fabrication. 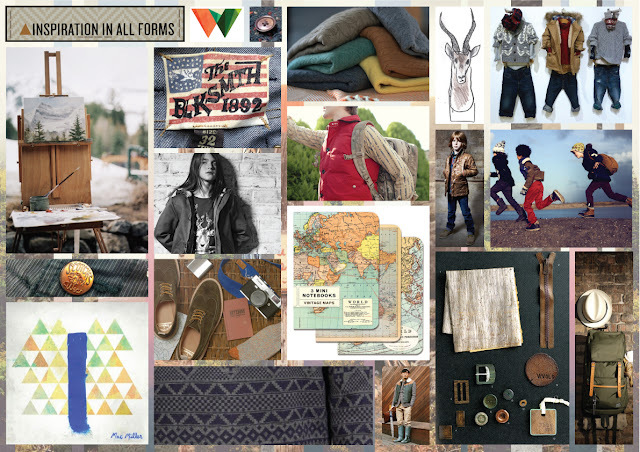 Fabric mixing and piecing play key roles in the garments to create the overall look. 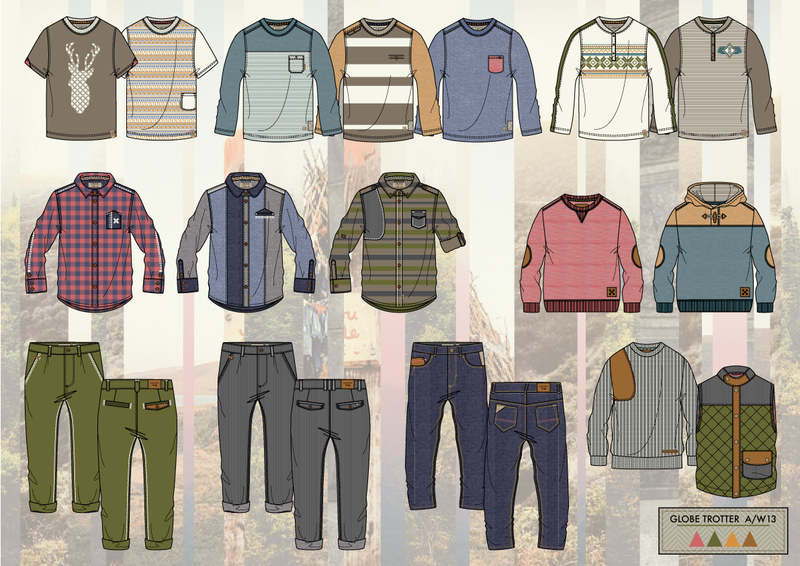 Heathered and marled fabrics are displayed next to chunky knits, denims, and baby corduroy for a rugged, outdoor feel. And to finish off the collection, leather accents are complemented with with wood buttons, brass hardware, and twill branding. 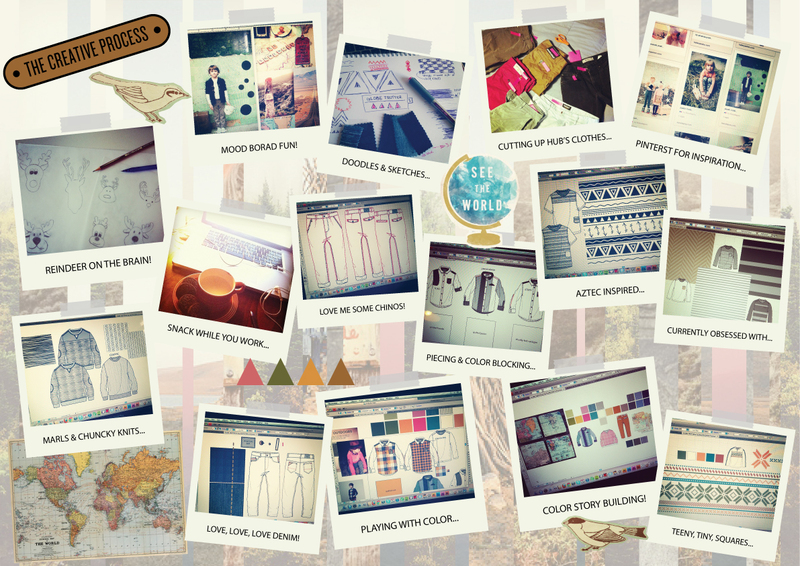 Hope you enjoy viewing the collection as much as I did designing it! What do all of these delicious treats have in common? Well, they all have pumpkin in them! 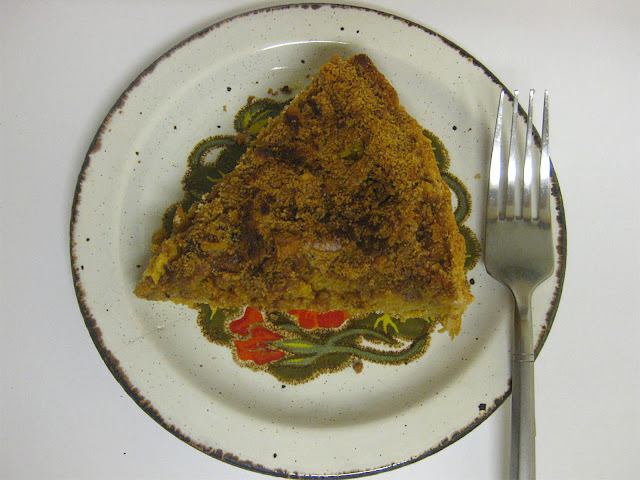 I know it's not really a big flavor here in the UK, but being far from home and missing all of my seasonal treats, I decided to dedicate a whole series to pumpkin on my personal blog (Made With Love). After searching high and low for canned pumpkin (you Brits sure don't make it easy either! ), scouring the web for the most amazing recipes, and lots of time cooking/baking... I give you my pumpkin series... enjoy! 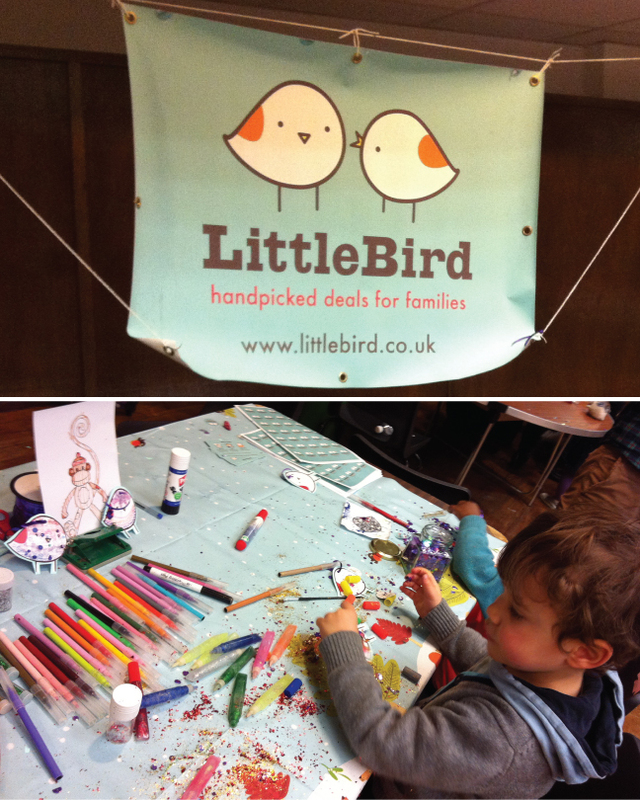 Little Bird is the perfect place to find the best deals on just about anything family related. 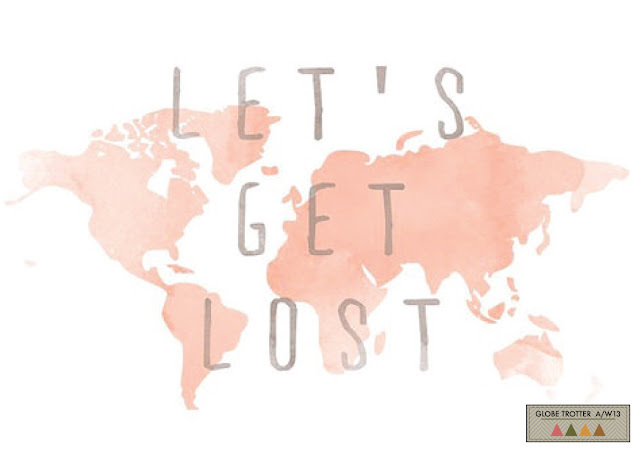 If you are looking for things to do, places to eat, or ways to spend some quality time with the little ones, makes sure to sign up their mailing list pronto! 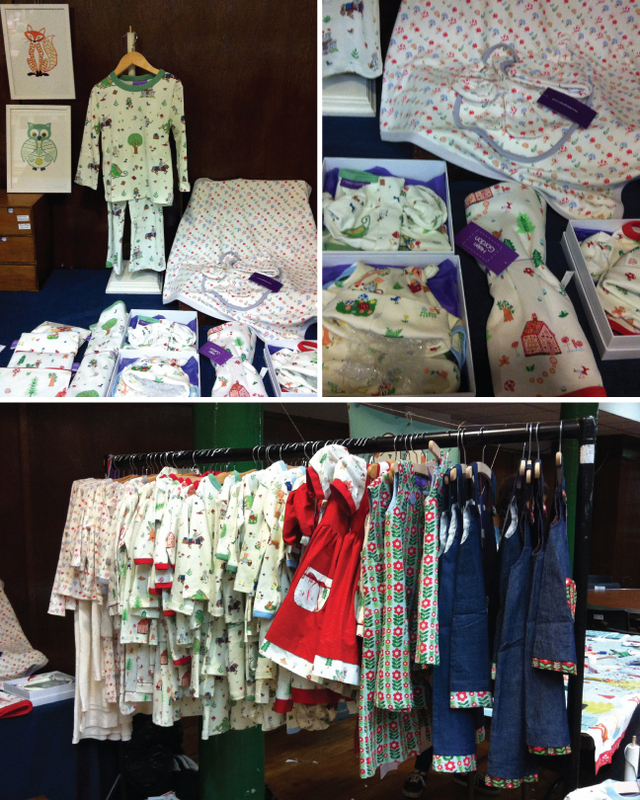 Helen Gordon showcased a range full of nostalgic and vintage inspired prints. Reds and greens took center stage quite nicely when placed alongside denim. Prints were also seen throughout the accessories... and some were even featured as stand alone prints to spruce up a wee one's room! 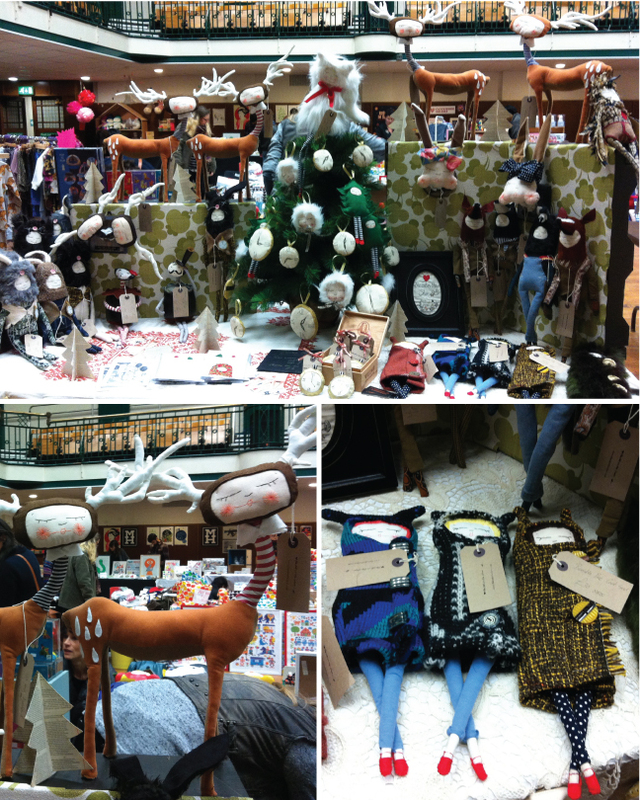 The Cat In The Shoe had the most mystical, winter wonderland stall ever! 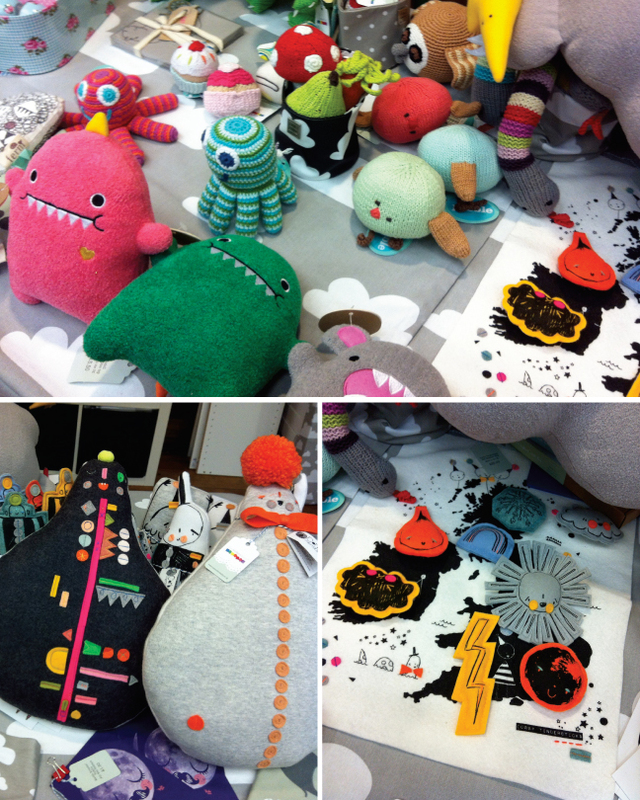 Whimsical characters included hybrid animals, clocks with legs, and Christmas tree girlies. It's safe to safe that I wanted to buy one of everything... and for myself too! 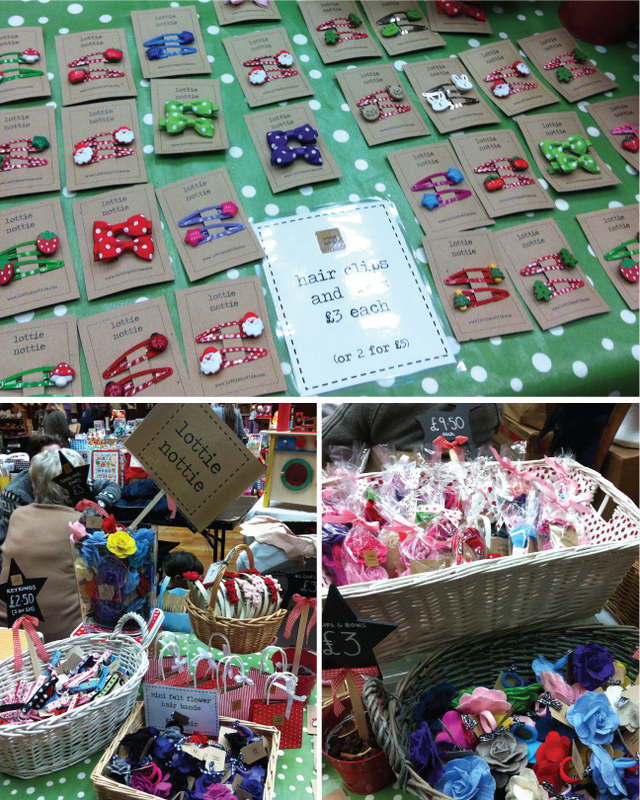 Lottie Nottie was full of some of the cutest hair accessories for little girls I've ever seen! Such a huge selection and variety... and the best thing, not everything was pink or overly girly. 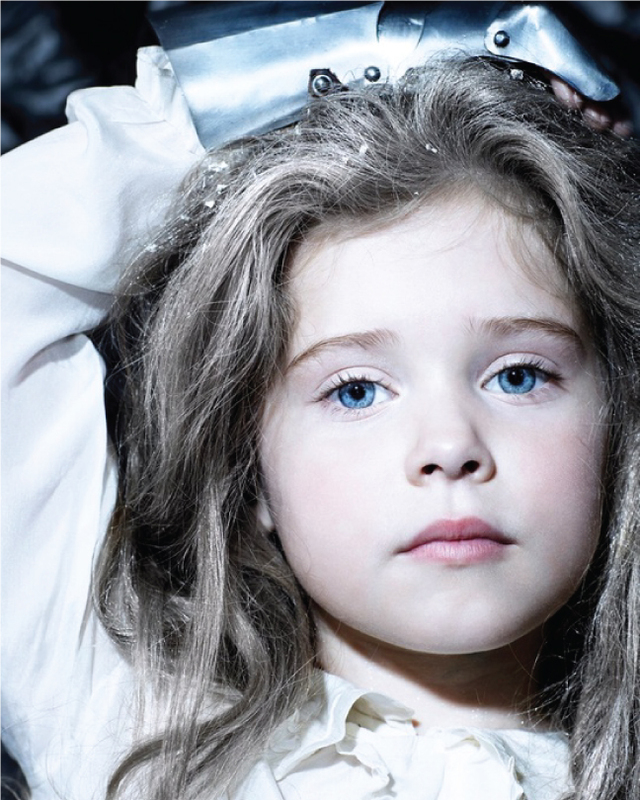 Inspired by a tomboy daughter, it is safe to say they have a hair bow or clip to suit any little lady's needs. 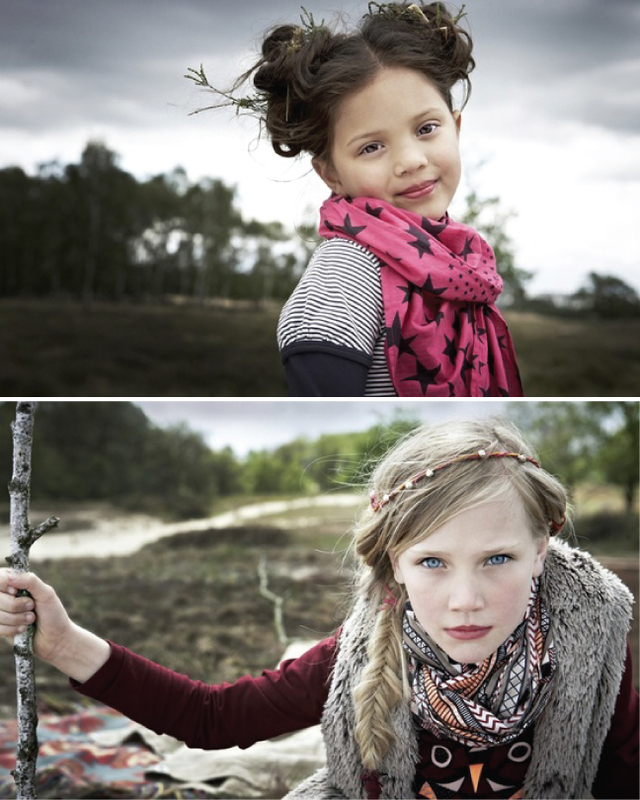 I Wish I Was A is probably one of the coolest kid's brands I have come across so far. 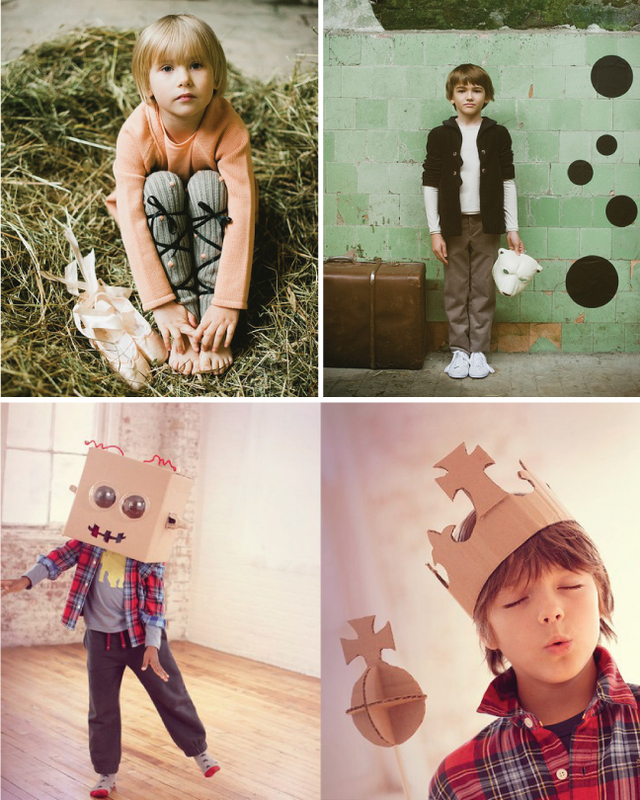 The concept is pure genius and so simple... costumes and accessories encouraging kids run wild with their imaginations! I was especially drawn to the bold felt mustaches, perfect for stocking stuffers! 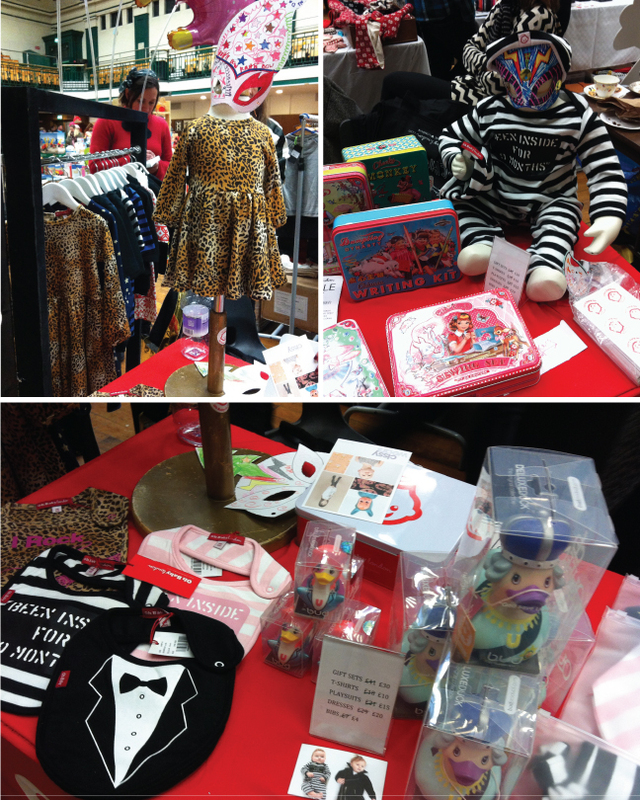 Oh Baby London had a stall that you just couldn't walk by and not stop at! 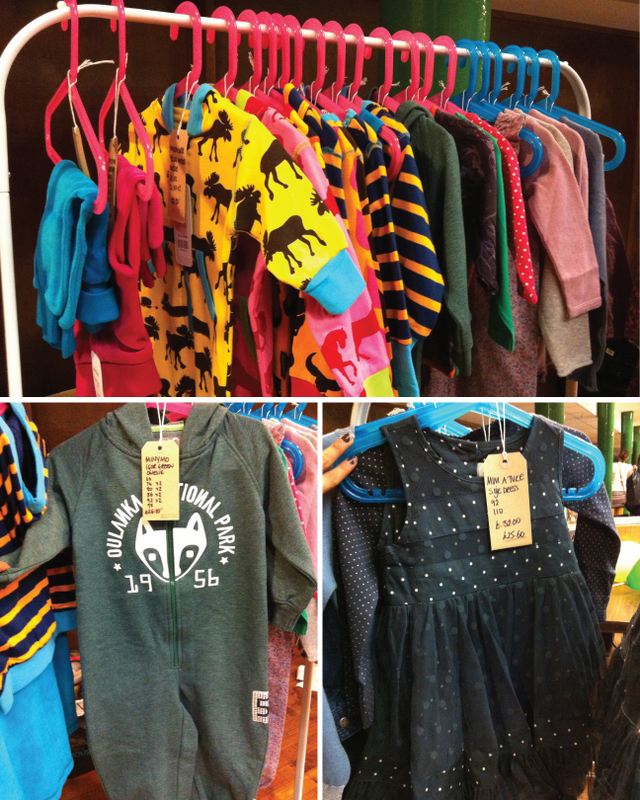 Full of quirky fun clothing, accessories, and toys... each one cuter than the next! How gorgeous is that leopard print long sleeve dress above? 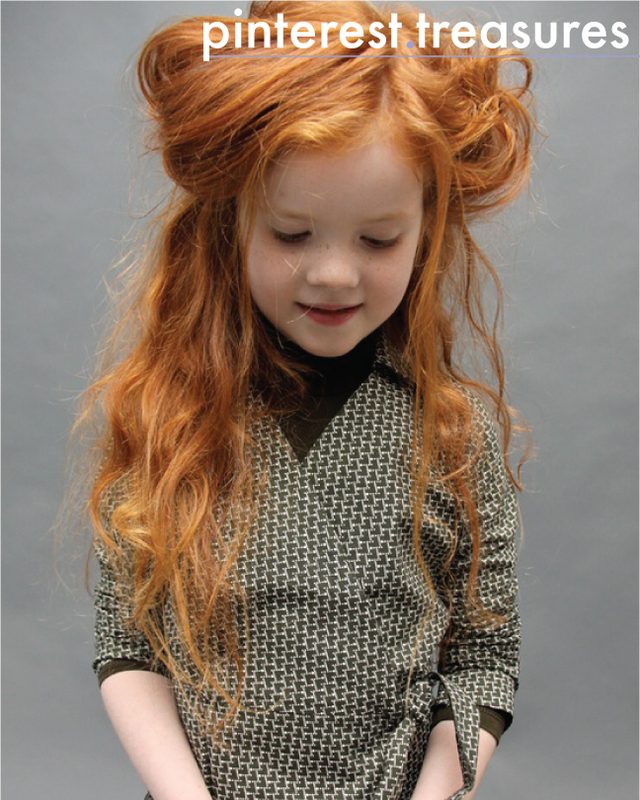 Could be a potential Christmas party dress for a budding little fashionista! 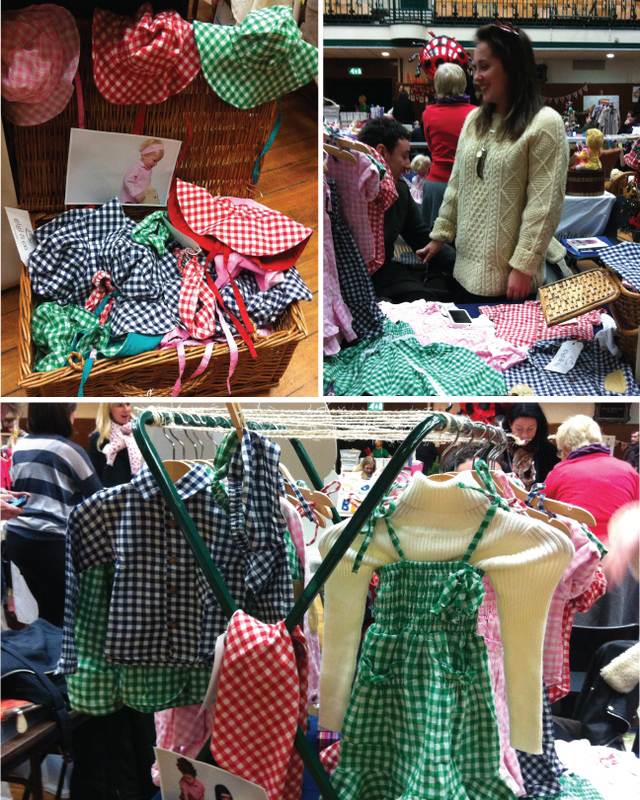 Gigi & Co had me in gingham heaven! For their debut collection, the showed off the beloved check in the most bright and iconic colors imaginable. Pulling design inspiration from her own childhood, the pieces have a vintage feel while staying modern and up to date. 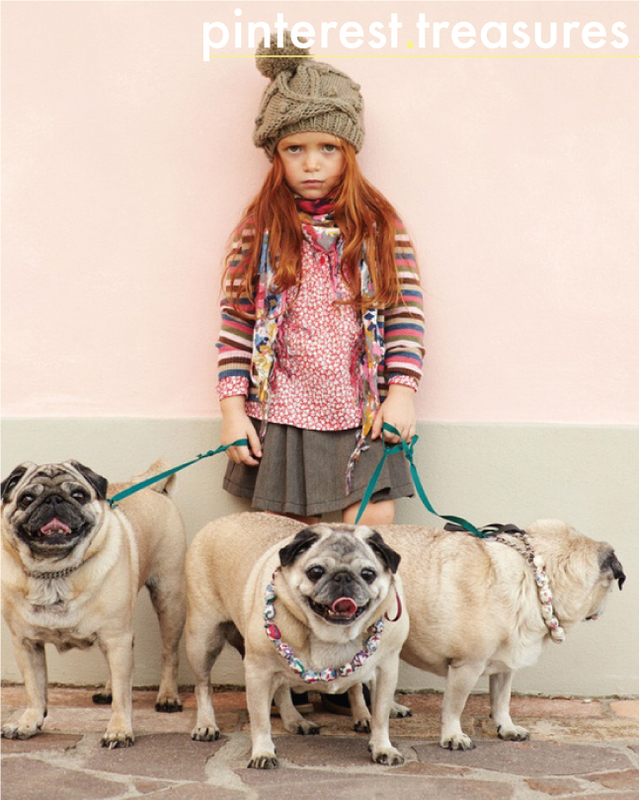 The best part, 100 % cotton makes them easy to wear and easy care! 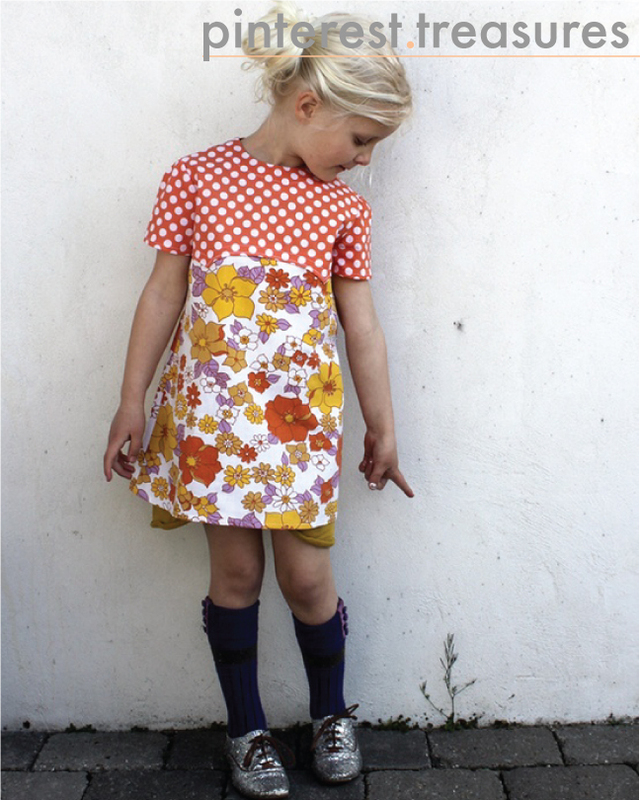 Yellow Lolly is the best place to shop for little individuals! They had so many unique brands and pieces... all Scandinavian I might add. Browsing through their stand (which was bursting with color and playful prints!) 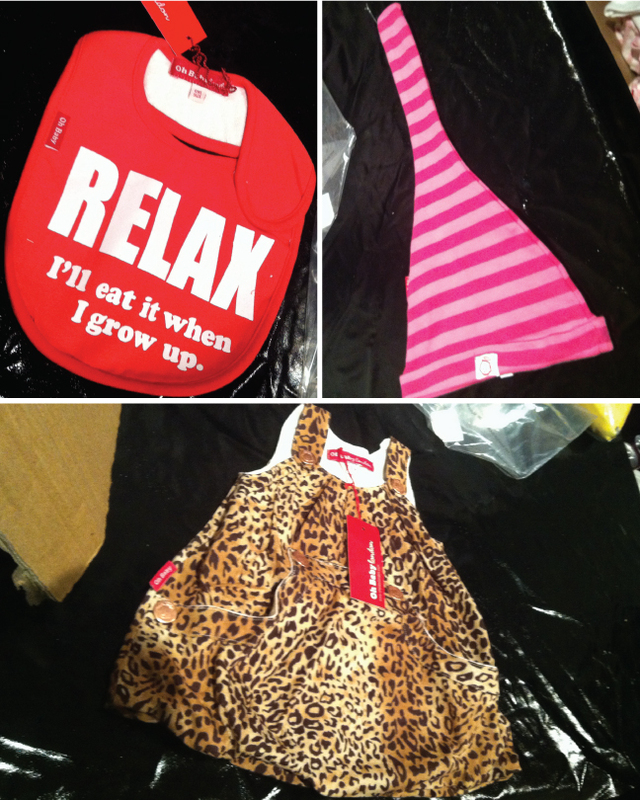 I spotted a few of my personal favorite brands which I must admit, made me quite happy! Niddle Noddle looked like a giant treasure box! 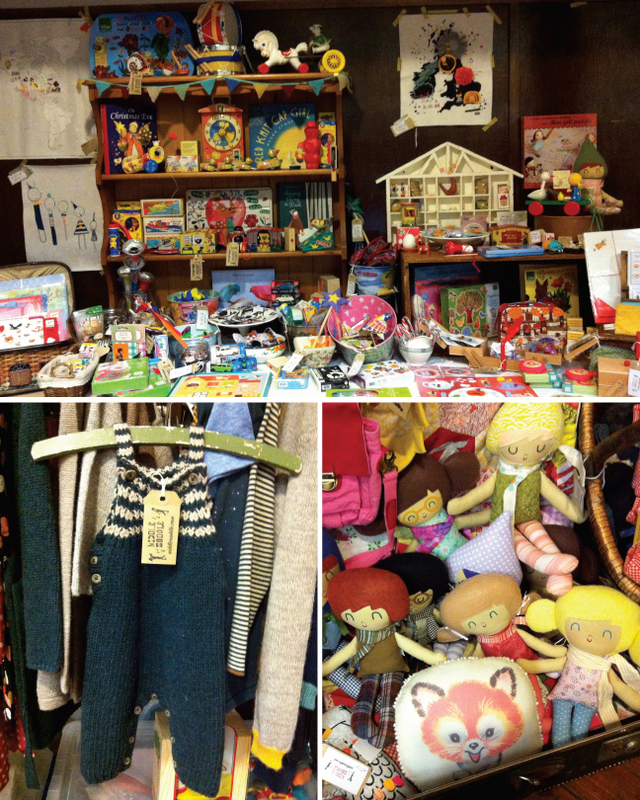 I was blown away by the eclectic mix of vintage and vintage inspired, well... everything! 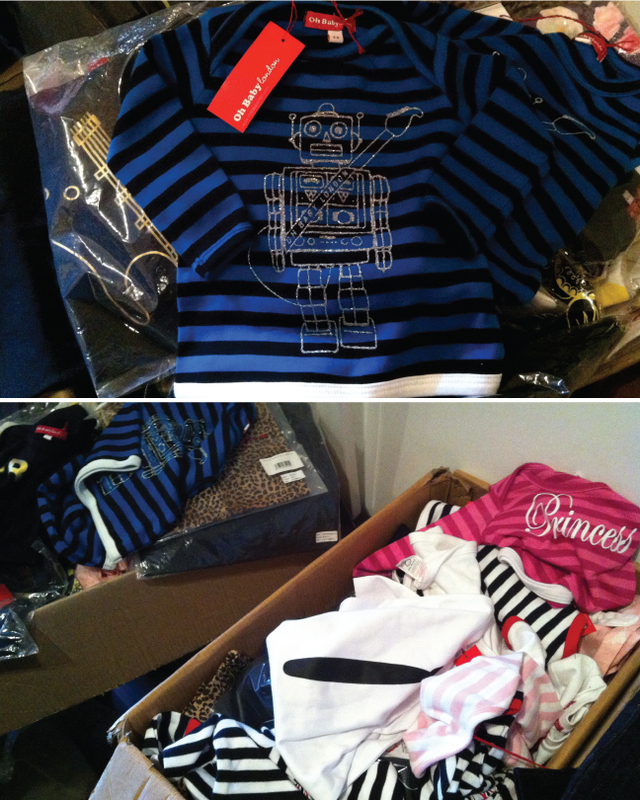 From toys to clothing to furniture... it was all there! 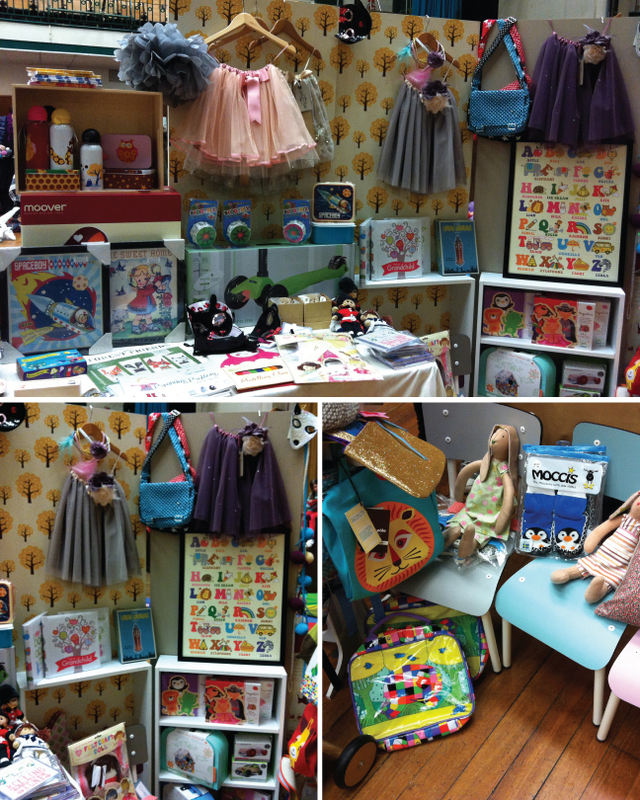 There were so many cool little bits and bobs to look at, it was hard to chose where to start (in a good way of course!) And how cute is that little knitted romper?!? I just about died it's so stinking cute! 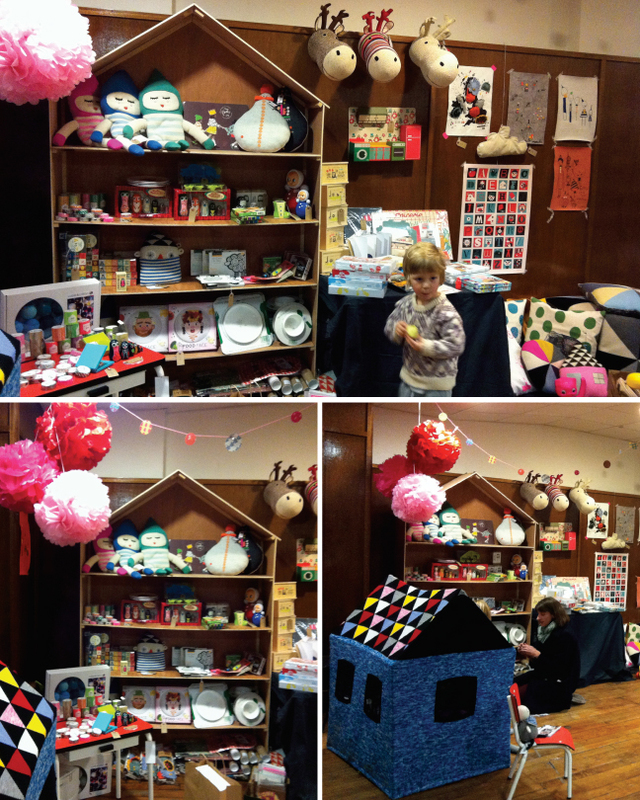 Home & Kids had a stall filled with just that... all things imaginable for the home and kids alike. 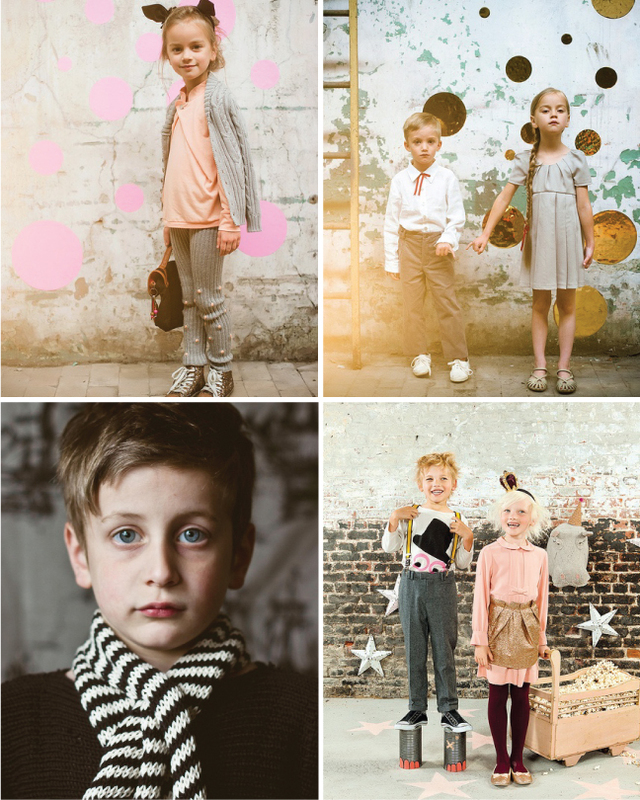 A seamless blend of vintage and modern clothing, toys, and accessories at your fingertips! I especially loved the framed vintage artwork that would add just a little warmth to any little one's room. Mini Moroc was all vibrant brights and colors as usual. 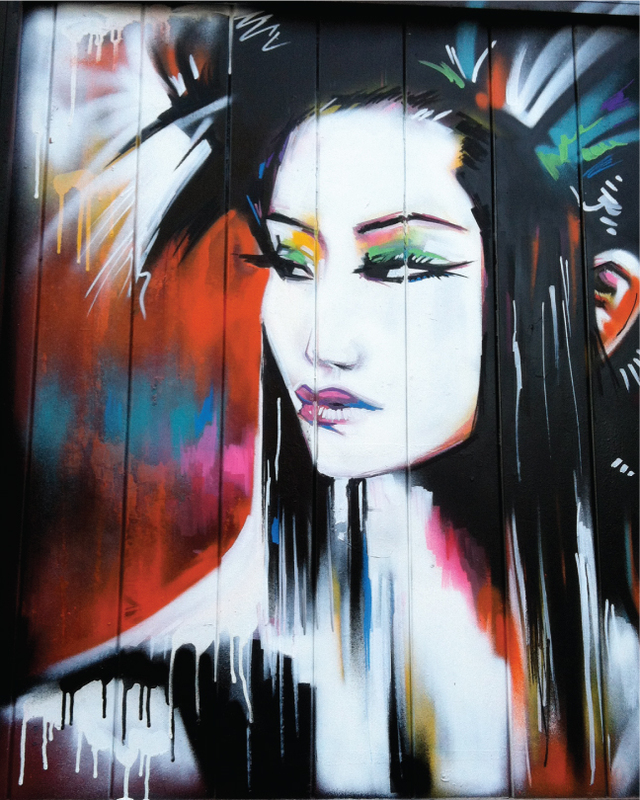 Who says dark and dull has to be worn in the wintery months? Certainly not them! 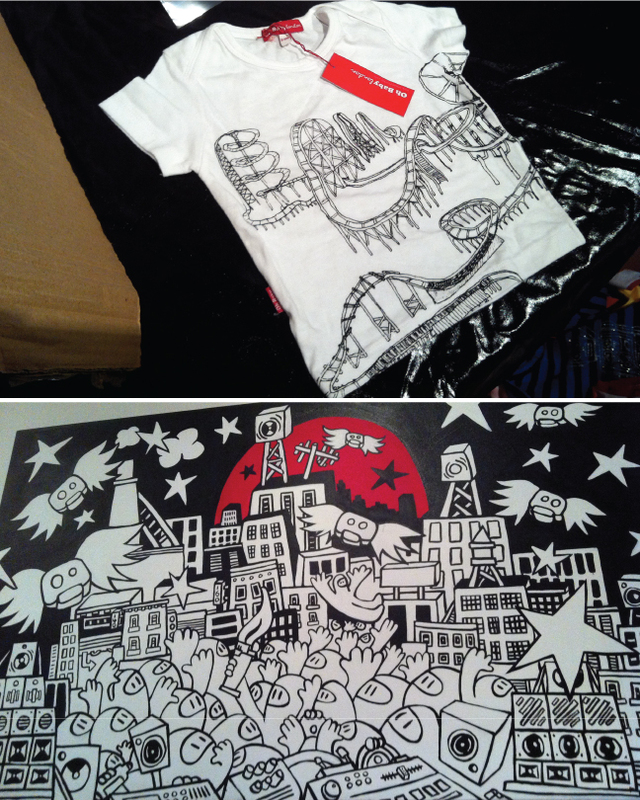 And I even got a sneak peak at a limited edition top, debuting in California in a bit (luckies!)... it's that gorgeous turquoise number above! Molly-Meg was already one of my favorite online stores with everything you could want... or need, to decorate the most amazing little one's nursery and/or room but it was so nice to see the products in person! 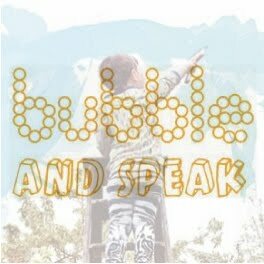 This is definitely a one stop shop where great design meets a child's needs in every way imaginable. 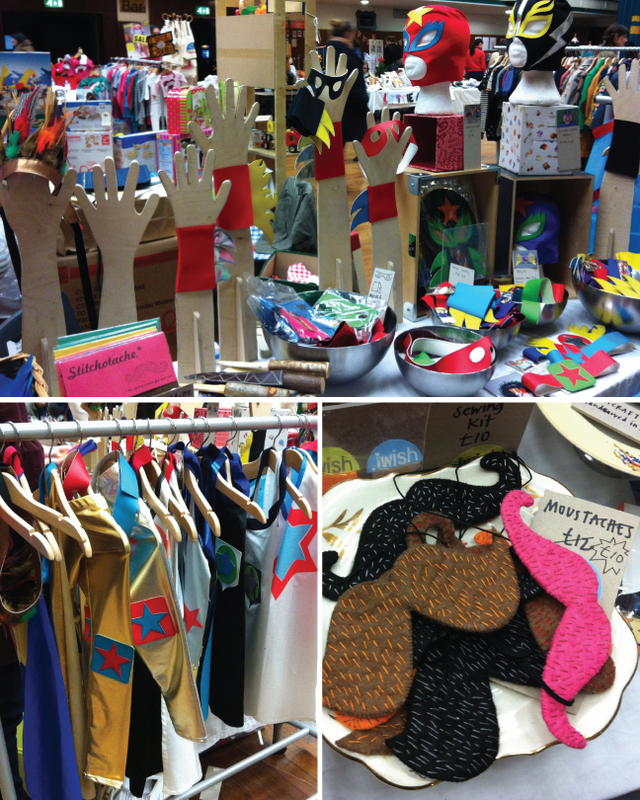 Many Hands had such a lovely and original assortment of prints, stationary, paper goods... you name it, they had it! 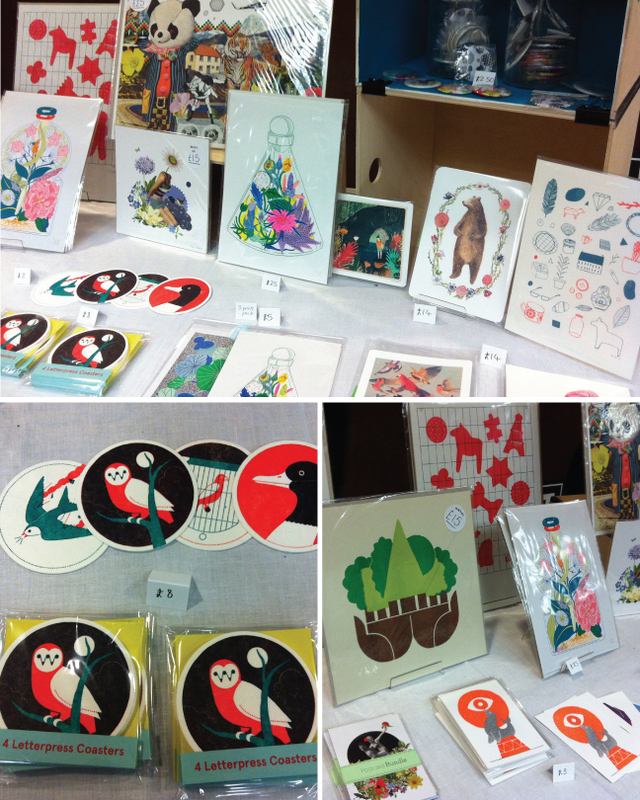 I really loved their graphic bird coasters (hint, hint secret Santa!) which would be such a great gift idea... just saying! Of course there were many other lovely brands, stockists, and vendors... but sadly, I couldn't make it around to all of them. This is just a taste of the inspiring and innovating things the world of little ones has to offer these days... kind of makes me wish I was a kid again! 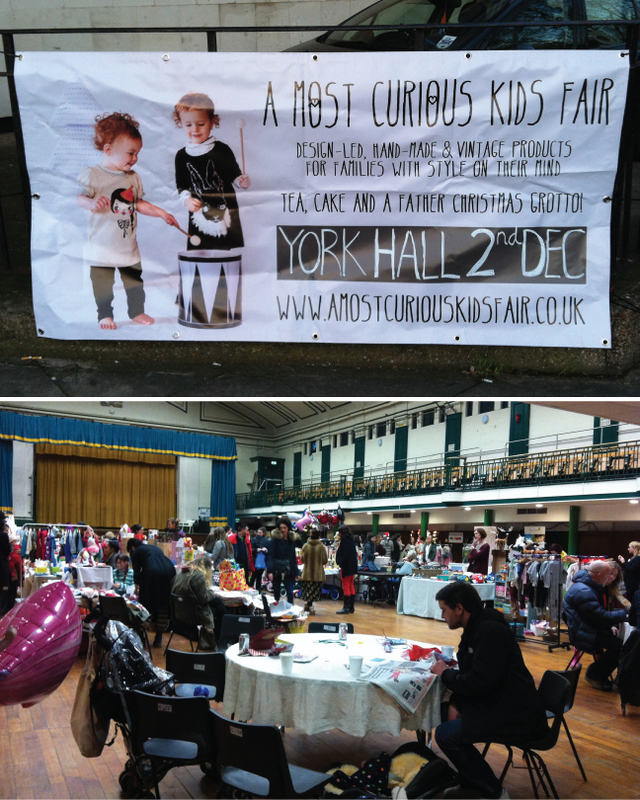 If you are in or around the Norwich area, make sure to take a trip to the last of the A Most Curious Christmas Kids Fair for this holiday season... trust me, it''l be worth your while! 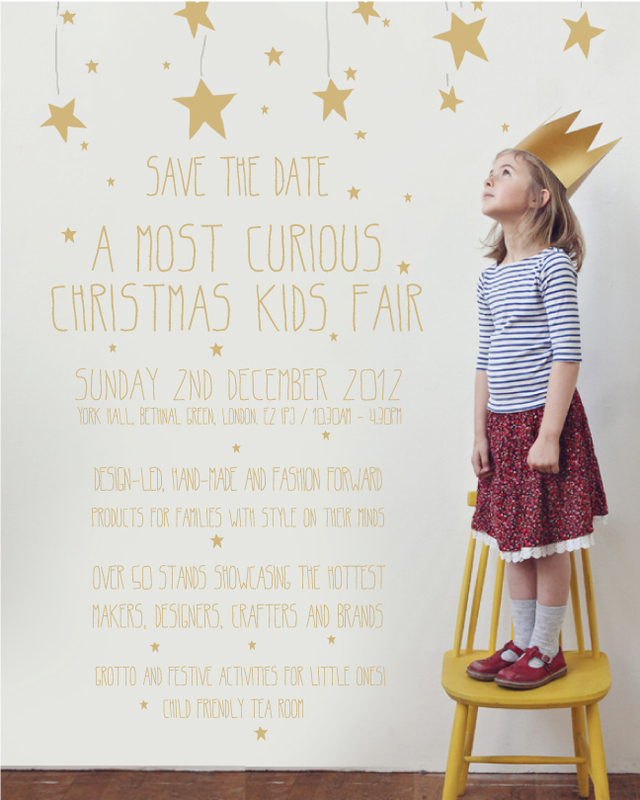 This amazing Christmas themed fair is going on today in London for any locals in need of an excuse to enjoy the fresh, crisp, and rare sunny day! Perfect for some early gift shopping or just all around inspiration. I will be heading there with hubs in a few to soak it all in. Hope to see you there! If you aren't close enough to pop by, feel free to check back later for a post showcasing all the goodies! 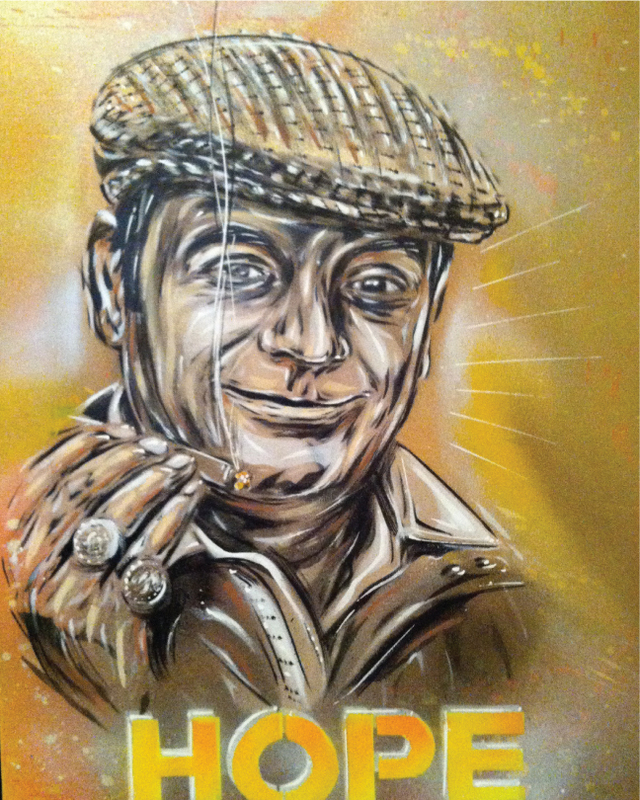 You can also follow me along on twitter and instagram (@madewithlovejb) for live time fun. Happy Sunday!